Enjoy the sights in San Francisco during this private 8-hour tour with a local guide. Customize this tour according to your interests and visit popular locations like the Golden Gate Bridge, Pacific Heights, or the Diego Rivera Mural at the San Francisco Academy of Art. Whether you want to see the main destinations in the city or explore lesser known places, you can share your interests with your guide to decide where to visit. This tour includes transportation in an Acura MDX and hotel pickup and drop-off. Our itinerary will be customized to your own preferences. We may start on the Embarcadero, and continue to Fisherman's Wharf where you will be able to see the shops, restaurants and working fishing boats in the harbor. Later we will drive down the crooked Lombard Street, drive up a steep Telegraph Hill to Coit Tower, and drive over amazing Nob Hill with its prestigious hotels and cable cars. We will pass through Chinatown on our way to Union Square (the shopping district), then head west to the Civic Center and our beautiful domed city hall. Further south we may walk through the Mission, and enjoy the outdoor murals as well as the tasty pastries, coffees and ethnic cuisines. 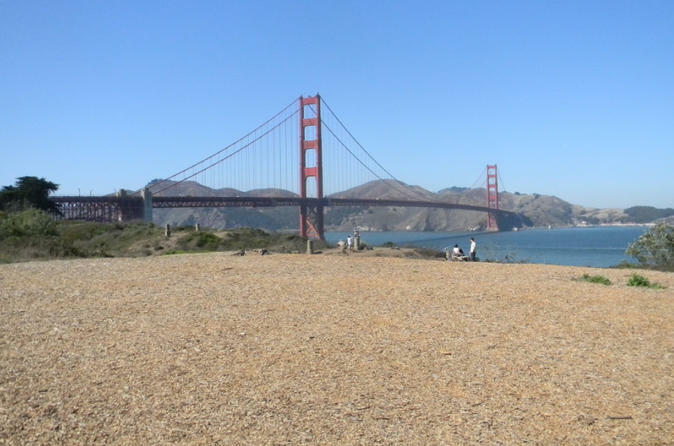 This tour will include Twin Peaks viewpoint, weather permitting, Golden Gate Park, Golden Gate Bridge, Lands End and Pacific Heights Mansions. Your tour guide will recommend other destinations, time permitting.